Before you do anything else, try to figure out what you can do to make your situation better. If it’s a matter of workload, talk to your manager. If it’s gossip or getting the cold shoulder from your peers, talk to them about it. Remember, quitting (especially this early) should only be a last resort. Exhaust every option available to you before turning in your resignation. Can you move to another department? You’ve shown you have great work ethic in the few months you’ve been at the company. And you like to work, just not where you are right now. Try asking your manager about work in other departments. Mention you love the company and want to stay there, but the current type of work just isn’t for you. If you’re great, the company will want to keep you. Can you stick it out? Obviously, your health is the most important thing. If the stress from your new job affects you in any major way (you miss sleep, are constantly nauseous, etc. ), get out of there. But if you can see any sort of silver lining (a promotion, a new project, incredible experience), try to stick it out for a few more months. If you just want a few projects under your belt, and this job allows you to get that experience, it’s worth sticking around. Do you care about getting blacklisted? If you only work a few months at a company and then quit, that company is unlikely to hire you again. They might put you on a hiring blacklist because training a new hire is expensive, and they don’t want to go through the process just to have you quit again. But this doesn’t matter if you don’t like the company and never want to work there again, right? Sort of. While it’s true in the short-term, companies in an industry (and especially in the same geographic area) talk. When you apply for a position down the street at a similar company, the hiring manager might ask for a reference from your previous company. And you don’t want to be seen as a job hopper. If you answered “no” to these questions, it’s probably time to quit. Just make sure to do it as professionally as possible. Ask your boss for a meeting, and keep it upbeat. Don’t complain about the company and keep the discussion short and simple. Make sure to give two weeks’ notice, and keep being a great employee right up until the end. 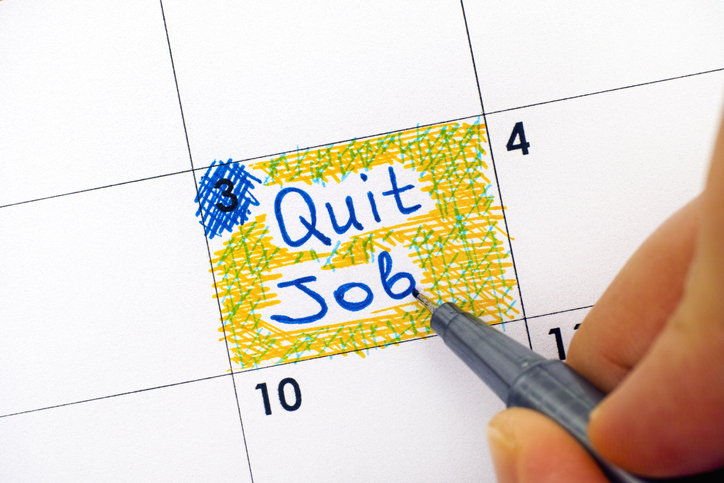 Have you ever had to quit a job a few months after starting? How did you handle it? Let us know in the comments section below! Next Post Answering the Interview Question: What’s Your Most Impressive Accomplishment?